Mike Wilberg of the University of Maryland’s Center for Environmental Science told Maryland's Oyster Advisory Commission last week that Chesapeake Bay’s market-sized oyster population is approximately 300 million, or half the amount found in 1999. Wilberg spent 18 months developing a new model that could accurately estimate the number of oysters in the bay. It is the region's first modern assessment of the population. His assessment was immediately peer reviewed due to the shocking discovery that even local government officials in Maryland and Virginia did not realize the severity of the collapse. 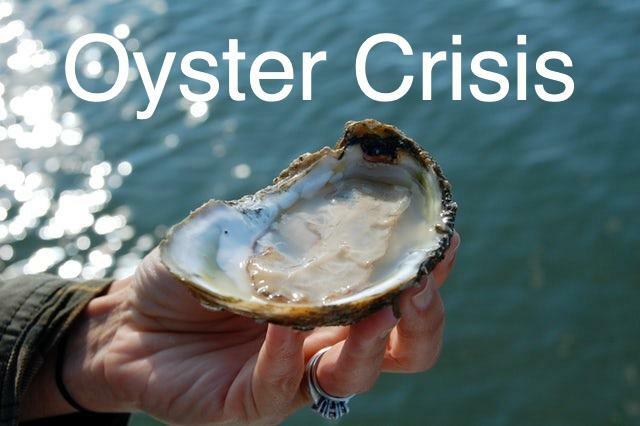 The peer review stated Wilberg’s model was of working order and could be used to revise Maryland’s oyster management program, and some environmental groups are already demanding changes to Maryland's law before the collapse turns into an ecological disaster. The Chesapeake Bay Foundation told the Capital Gazette, the report has confirmed its worst fears about the bay's oyster population. During the meeting, Shellfish Division Director Christopher Judy said a report about the assessment and oyster population management strategies would be sent to the state legislature Dec. 01. During his presentation, Wilberg sectioned off the bay into 36 areas, giving a more in-depth view of the oyster population dynamics. Between 1999 and 2002 the oyster population plummeted more than 600 million market-sized oysters to about 200 million, according to the report. Wilberg said there had not been a significant mortality event in the population since 2005. The report specified 19 out of 36 areas of the bay were overfished in the 2017 to 18 season. Fishing levels in many parts of the bay were not sustainable. Well, if you are an oyster aficionado, with the likes of “Skinny Dippers," “Chesapeake Golds," “Choptank Sweets," “Holy Grails," and “Sweet Jesus," found only in the bay - new legislation by Maryland's government could restrict the upcoming fishing season to prevent a further collapse thus limiting consumers to some of the country's best oysters.